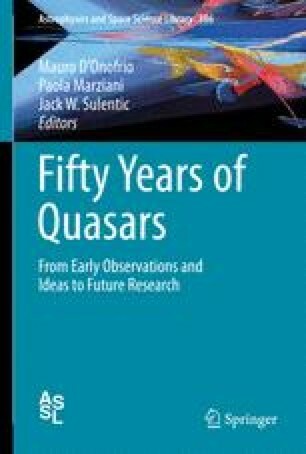 We are approaching the 50th anniversary of the discovery of quasars. Those old enough to have been cognizant of astronomy in 1962–1963 can remember the sense of excitement connected with this finding. There was talk of a major new constituent of the universe. The excitement of the discovery was palpable even to one of us (the most senior of the editors) who was then a high school teenager.